Floyd Mayweather's publicist Kelly Swanson gives a rundown of her firm's work on the big fight, just days before the bells toll. 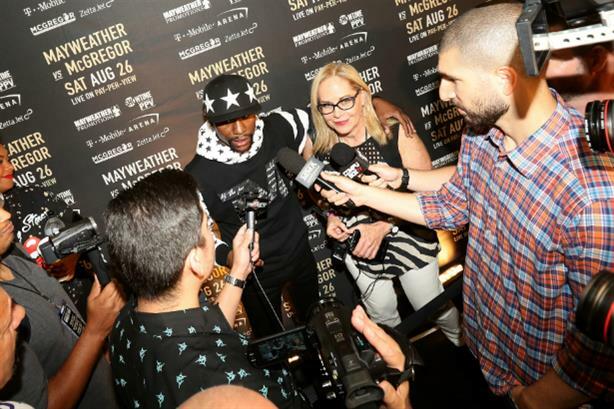 In this special edition of the PRWeek podcast, editor-in-chief Steve Barrett and Gary McLaughlin, managing producer of PRWeek's content hub, speak with Kelly Swanson, Floyd Mayweather's publicist of 12 years and president of Swanson Communications — the PR firm heading comms for the big Mayweather vs. McGregor fight this weekend. Swanson walks us through the massive event from the PR side of things, and comments on working with media magnets such as Mayweather and McGregor. Mayweather v McGregor: PR masterclass or morally vacuous spin-fest?